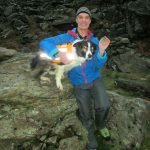 Team member Rob Grange has been training his collie, Rona, through Lake District Mountain Rescue Search Dogs Association, in the hope that she would become a fully fledged Search Dog with the Team. This weekend, Rob & Rona undertook their final assessment in Comb Ghyll – four hours in the bitter cold and gusting winds, with snow under foot. They passed with flying colours, finding both the “casualties” – the end of a three and half year training programme. 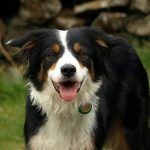 Rona joins Search Dogs Ginny, Beck, Meg and Bracken on the LDMRSD Callout List attached to Keswick Team. Congratulations to both members of the Team!